If you’re not from these parts, you may not recognize this animal. 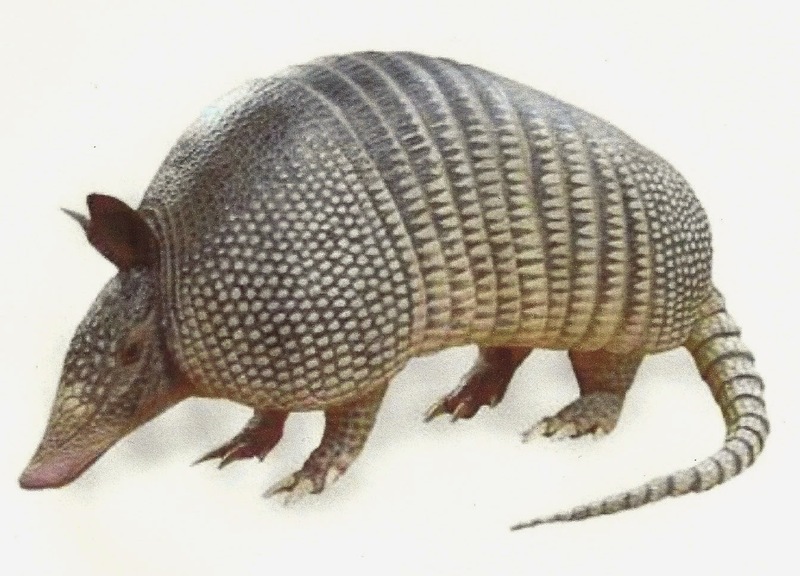 It is an armadillo, a toothless, burrowing animal of the southern US, Central and South America. Its distinguishing feature is an armor-like covering of bony plates, even on his skinny tail. So today we are not talking about zoology but about armor, covering worn to protect the body, more specifically, for protection from weapons. Early man, from the Aleutians to the Andes, wore heavy, leather tunics, leggings and head coverings and carried shields cover in hide. 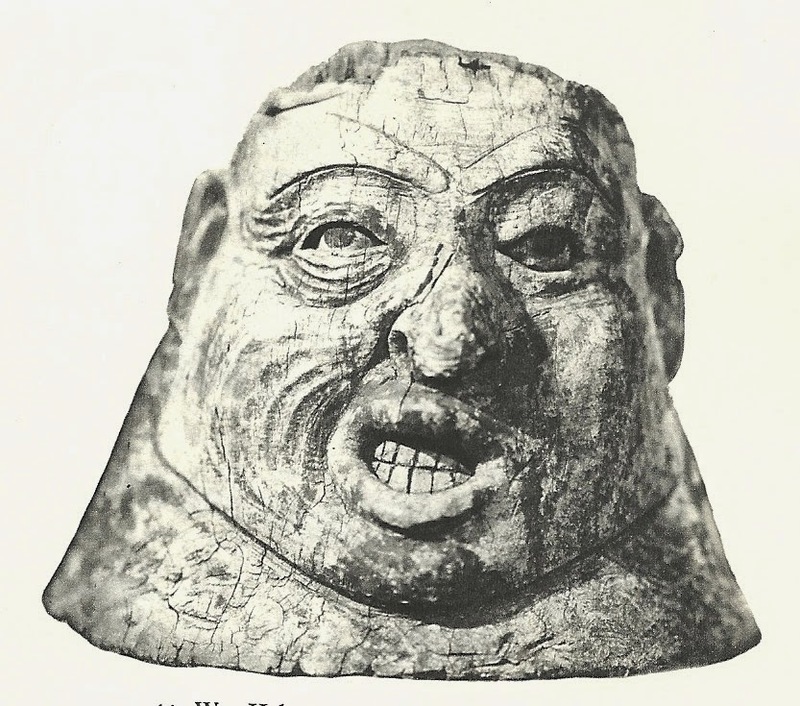 According to Anawalt (The Worldwide History of Dress), Eskimo men wore “armor” consisting of” a series of lower-body hoops made of double sealskin…the head and neck were protected by a large wooden shield covered in sealskin”. There is also evidence that Eskimos of the Bering Sea area wore plates of walrus teeth (The Basel Museum). The Pacific coastal people, Tlinglit and Tsimshian, wore tunics of multiple layers of hide. They further protected their bodies with garments made of wooden rods or wrapped rope around them for protection. For protection of the head and neck some wore heavy wooden face masks. The Plains Indians carried large shields made from buffalo hide. Some native tribes wore basketry for armor or layers of deerskin. Central American, Pre-Hispanic Indians, wore body protection made of densely quilted cotton. Patagonian warriors wore bullhide helmets and layers of horsehide. and a fitted leather cap. The peoples of Oceania (Sulawesi, New Guinea and the Gilbert Islands and others) wore wicker helmets and cuirasses (a piece of close fitting armor, protecting the neck and back). 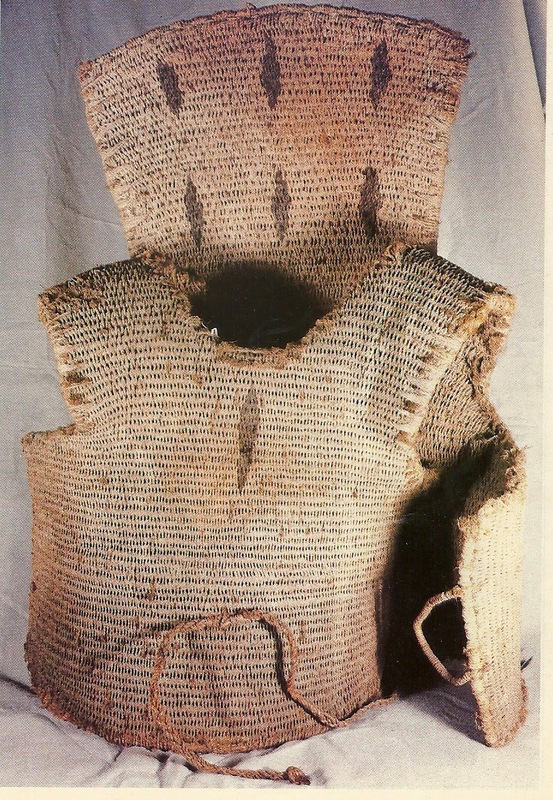 This one-piece body armor was made of coiled bundles of coir (coconut fiber) or rattan held together with fine bast cording. Beneath the cuirass was worn a shirt, cap and gloves of coir twine. Next time we will examine the contribution of metallurgy and the construction of plate armor.